One of the challenges decorators face (if they're like me at least!) is making what you have work if it's not quite the right size or color or height. 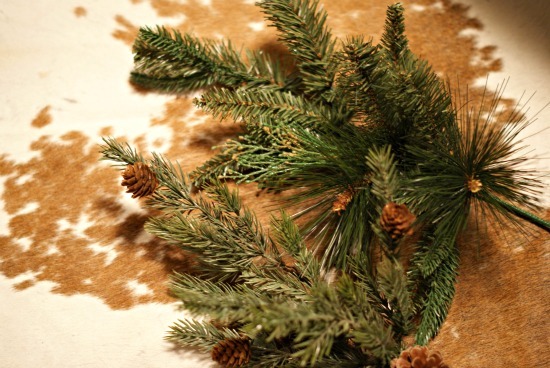 As I was decorating last night, I used a few tricks that I thought I'd share with you. First off, how many of us have countless little projects that would take two seconds to finish but never quite seem to get done? Yesterday I checked one of those off of my list. 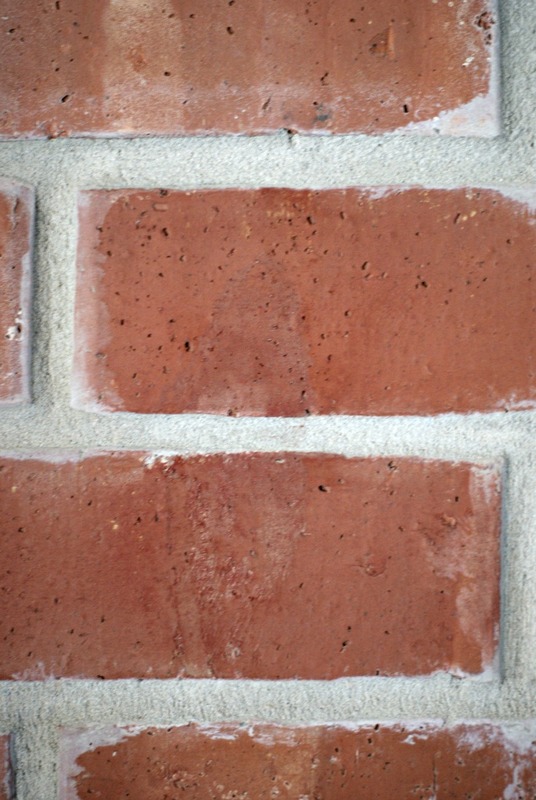 This spot on my brick fireplace has bugged me for years. It looked like a bird flew through the living room and bombed the brick. 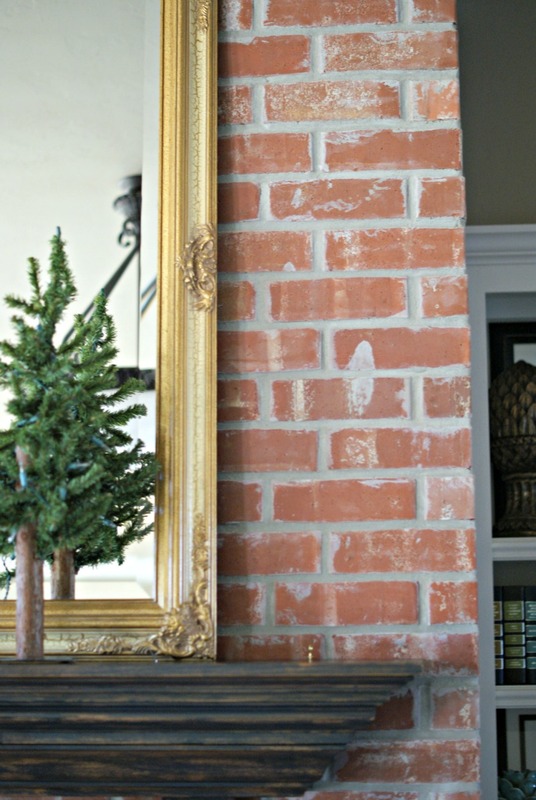 I always kept something tall there or photographed the mantel from creative angles to try to hide that spot. It drove me crazy. Well, when I started putting Christmas on the mantle, enough was enough. Faster than the time it took me to gather the supplies, it was fixed. I found some acrylic paint that was a close enough match and with a damp sponge rubbed a bit over the light spot, then blended and wiped some paint off with my hand. Done. The spot is still there if you want to look hard enough, but it doesn't stand out like a neon light like it used to. Secondly, I wanted to use this little silver plated cake stand for some candles on my coffee table. The bottom inside wasn't flat, so I found a wooden trivet that fit perfectly and slipped it inside. 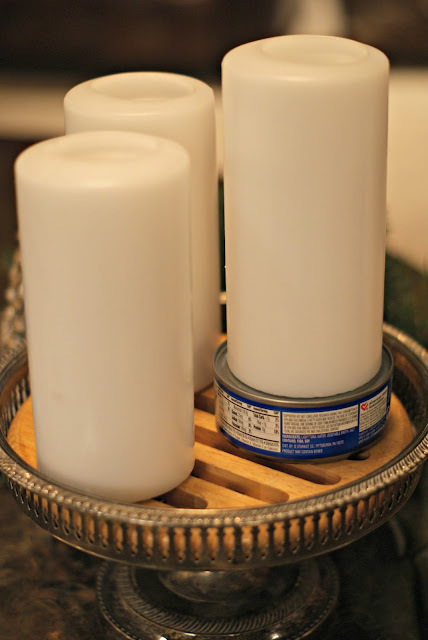 Then, all of my candles were the same height and I wanted to raise one a bit, so a can of tuna came to the rescue! I covered all of the props underneath with some spanish and reindeer moss. By the way, have you seen the jumbo plastic animals in the $3 spot at Target? 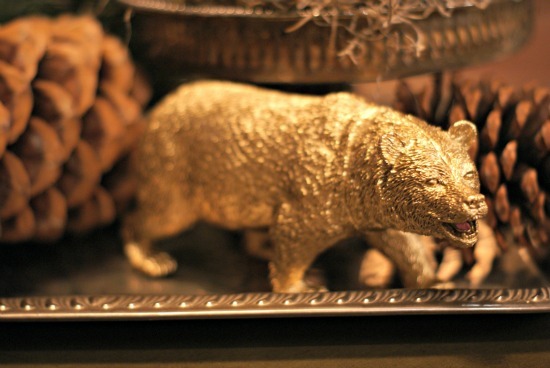 A little gold spray paint and he fits in perfectly for Christmas. I want to run back and get the giraffe after spotting one on Cassie's shelf yesterday. Next up, I wanted some natural looking stems. I usually go out back and cut fresh greenery, but for this arrangement I didn't want to mess with switching it out when it gets dry. So, I saw some good long stems at HL for $5 each, but then found these picks for $2.50. Not too different from the long stems I found, but the stem was shorter, and I wanted to buy several so that $2.50 difference added up fast. 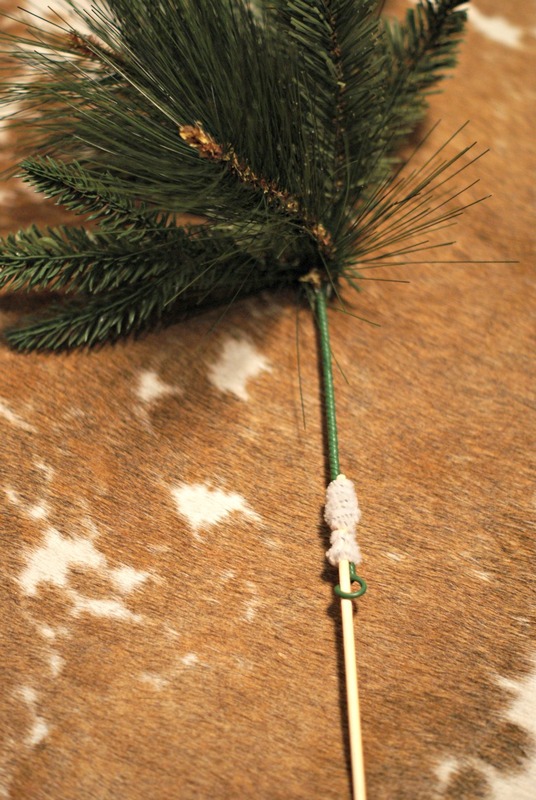 I'm using them in a big metal vase, so to lengthen the stem I wired it to a wooden skewer. And, I couldn't find my floral wire so I used a pipe cleaner. The skewer will stick down in the vase far enough to not be seen, and add the height I needed to the picks. That's it for today. I looks like Hobby Lobby exploded around here and I've got to get busy. Have a great Thursday! oh i love the bear!!!! too cute! I love that you used a can of tuna! I'm totally going to have to show this to my husband later since he was helping me move things a couple of week ago and was beyond perplexed as to why he found a can of salmon underneath a silver pot at the very top of our hutch. So glad I'm not the only one who does this! I'm impressed you have a something complete enough to take a photo ~ still chaos here! Thanks for the Target tip, he looks perfect in your vignette. That was so brave to paint the brick but it looks fantastic! Nice! Don't you love getting little things like that done and not feeling like you blew $50 to do it. Great job! You fixed that problem perfectly! 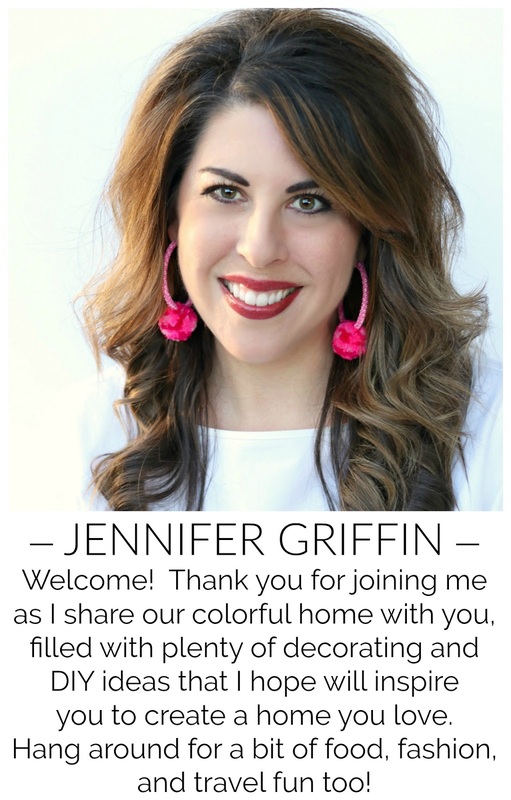 Love your pretty vignette!! This post was written about my life! Just the other day Chris and I got this painting and it had a HUGE signature from the artist...very distracting. So what did I do? I painted over it! Haha! Now my beach painting isn't bombarded by a GIANT SJH! Hold the phone -- Target dollar spot has plastic animals right now?!?! This is dangerous...I have a gold plastic animal addiction! It feels so good to knock stuff like painting your brick off your list doesn't it??? 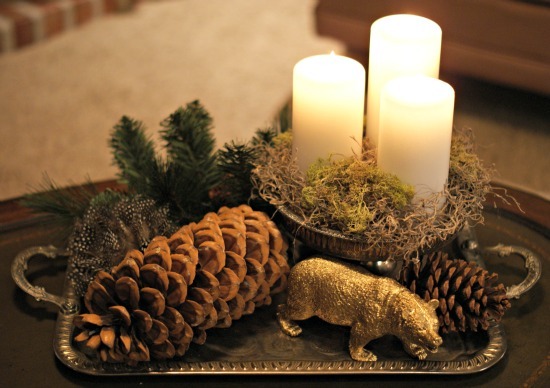 Your candle vignette looks so pretty….love how everything is coralled on that pretty silver tray. I'm laughing at you and that spot on your brick! That's the kind of thing that would drive me nuts as well! Great job fixing it too! And I can also relate to having to move things out of the way just to take a photo! :) Good to know I'm not alone! Oh, the things I crop out of pictures! LOL! Great ideas! I have some brick that needs to be improved too. Also love the tuna can! Great job! and the painted animal is GREAT! 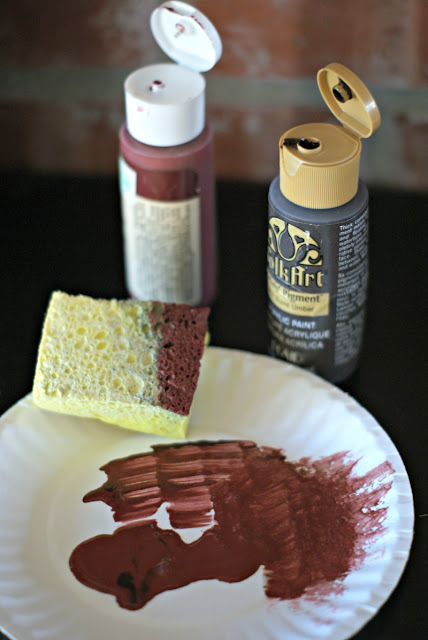 I've beent thinking of trying to stock up on some fun stuff like that to spray paint or glitter! Great ideas!! 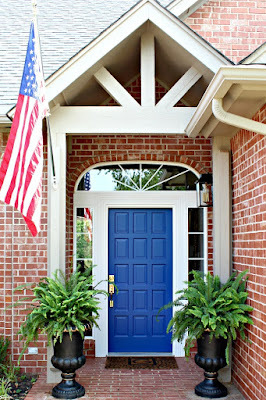 The spot on the brick would drive me bonkers too ~ super solution. You are extremely creative my friend! What creative tips and ideas! Very clever! Aren't you a smart cookie? I'm glad for your sake you took care of that brick spot. Looks practically perfect! I definitely know what it's like to have areas here and there that need just a small bit of TLC.